Labor Finders has been helping people find work and helping companies find workers for 50 years now, currently placing 16,500 people in jobs every day. They have over 200 agency locations to help them do this. To find out how to apply for Labor Finders online follow the link below to submit a Labor Finders application. The perks for businesses are that Labor Finders will handle all of the administration and payroll duties. They have been providing staffing services for over 195,000 different customers since they began in 1975. With so many job seekers, they are able to provide any number of experienced and skilled staff instantly. For those looking for work, they have numerous opportunities in many different diverse sectors from Maintenance to Mining and Retail to Restoration. They offer different options for those looking into Labor Finders jobs. Applicants can be paid daily or weekly and choose when and where they work. The entire process is there for everyone’s convenience. Labor Finders has won a number of awards, including in the Best of Staffing Competition and has also been named one of the top franchises by Entrepreneur Magazine’s Franchise 400. The company keeps to the highest standards to protect both employers and employees and is accredited through the Corporate Social Responsibility program and as an American Staffing Association. Labor Finders jobs come in many different varieties, there’s something for everyone no matter what your experience or qualifications. If you’re more of an outdoors person there are vacancies in Construction, Maintenance, Manufacturing, Agriculture, Landscaping and Mining amongst many others. These are mostly physically demanding roles so be sure to check the job description for requirements. You can also submit a Labor Finders application for job opportunities in Hospitality and Events. Typical positions will range from kitchen staff, front of house, hosts and waiting staff, bartenders and ushers. Working in this industry you might be in a variety of different locations including hotels, restaurants, conference centers and more. How old do you have to be to work at Labor Finders? You must be 18 years old to apply for jobs at Labor Finders. Most office locations are open and accepting applications between 6am and 6pm. Labor Finders jobs will vary in their hours of operation depending on the type of employment. Labor Finders do not charge job seekers for their services; you will be able to make a free application. Out of all of the benefits, the biggest perk of Labor Finders careers is that your timetable is up to you, you have complete flexibility. Many temporary jobs will turn in to permanent careers, and you will be able to gain invaluable experience as you pursue your career. Labor Positions – There are often general laborer position open across many locations. These positions will require you to be able to repetitively lift between 50 and 75lbs. There will be different responsibilities assigned to you as and when needed. General laborers will typically be paid at an equivalent of $21k/year. Skilled Trades and Helpers – These positions will require experience in the field you’re applying for and also the use of your own tools. The typical trades required are carpenters and electricians but there will be others. Helpers will need less experience but a willingness to work and learn. The salary will range depending on experience but the average is around $22k/year. Flagger – Traffic Control Technician – This position is for certified candidates although training can be provided. A flagger is responsible for directing traffic around road maintenance and construction. It is vitally important to ensure the safety of pedestrians, motorists and cyclists. The average salary rate is around $31k per year, although all salaries will vary by company. Diesel Mechanic – Mechanics may often be required who have previous experience in maintaining and repairing vehicles and engines. You will need to be able to diagnose problems and accurately fix them. All work will be subject to inspection. The average salary for all diesel mechanics is $40k/year but all wages are subject to the hiring company. All Labor Finders jobs are very different so interview questions will be specific to the job area that you make a direct application to. Questions for General Labor jobs and also roles in construction and maintenance will center on your experience in that area. You may be asked, “Are you comfortable lifting 50-75lbs regularly?” or more general questions including, “Tell me about your construction career so far.” Answer accurately so they can match you with positions best suited to you. For Retail, Hospitality and Events positions you may be asked more questions relating to customer service. These questions may include, “How would you handle a difficult customer or guest?” or “How do you cope working in a team?” If you have experience in customer relations it helps to give examples from when you have had to deal with similar situations. To explore opportunities in the areas of Maintenance or Mechanics you will also need to answer questions on your previous work in these areas, such as generic, “What different types of vehicles do you have experience maintaining?” and “What tool sets do you own that you are able to use?” questions. All interviews will be designed to get to know you better to find the best match for you. 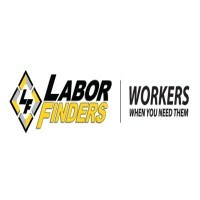 If you search Labor Finders jobs online you can browse their various openings by location. Once you’ve selected a position you can use their online application form to upload your resume and describe why you’re suited to that particular role. You can also apply online just to the location to register your interest. There isn’t an option to download a printable application for Labor Finders. But as an alternative to submitting a Labor Finders job application online you can visit your local branch and take your resume there and discuss your options with a representative. This way they will be able to keep you on file and match you with suitable appointments as they arise. A meeting with representatives at their offices will be a bit different to normal job interviews. You’re not trying to sell yourself as much, that’s their job. You will need to be completely honest about your qualifications and experience so that you are paired up with companies in need of your particular skills. But that doesn’t mean that you don’t need to make a good impression. Remember Labor Finders have a responsibility to their clients as well to provide them with reliable and professional workers. So be sure to be well presented at your interview and to keep a positive and friendly attitude. JEA: Visit the job application for JEA to apply today. Manpower: Visit the Manpower application. Tesoro: Visit the Tesoro application. Suddenlink: See our guide for careers at Suddenlink. NiSource: Visit the NiSource application.